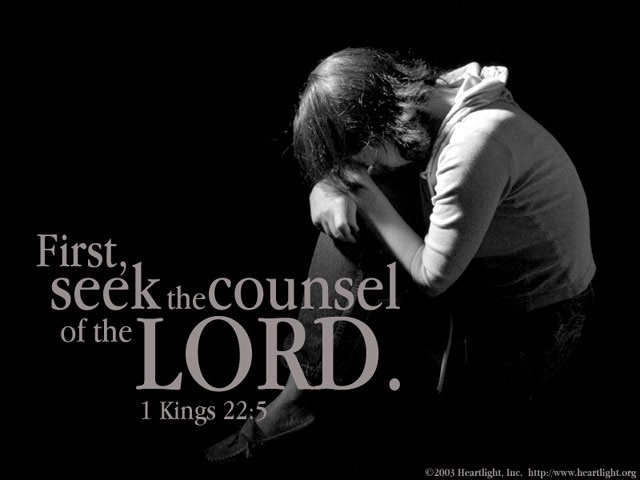 No matter how difficult it may be, be sure to first seek the counsel of God. You will have NO regrets. Wow as I was reading this scripture in 1 Kings which talks about a prophet that instructed a man to strike him, and because he disobeyed a lion killed the man😁😳. Imagine if that was you, because think about it would you really agree to striking someone? What would you have done in this man’s position? Again the prophet came to another man asking him to do the same thing, and he did. Nothing happened to this man, and I believe this man discerned that this was a prophet from God. In this scripture it also says nothing about the prophet dying from the strike that he had enquired for. Sometimes The Lord may ask you to do the most strangest things, and it may not necessarily be the same as what was asked of these men but it may be something that is out of your comfort zone, or something that may cause you to believe that it is the devil talking. Brethren, it is not always the devil that is talking to you when a voice tells you to do something that is beyond you like leave your home to live in a country that you know nothing about. 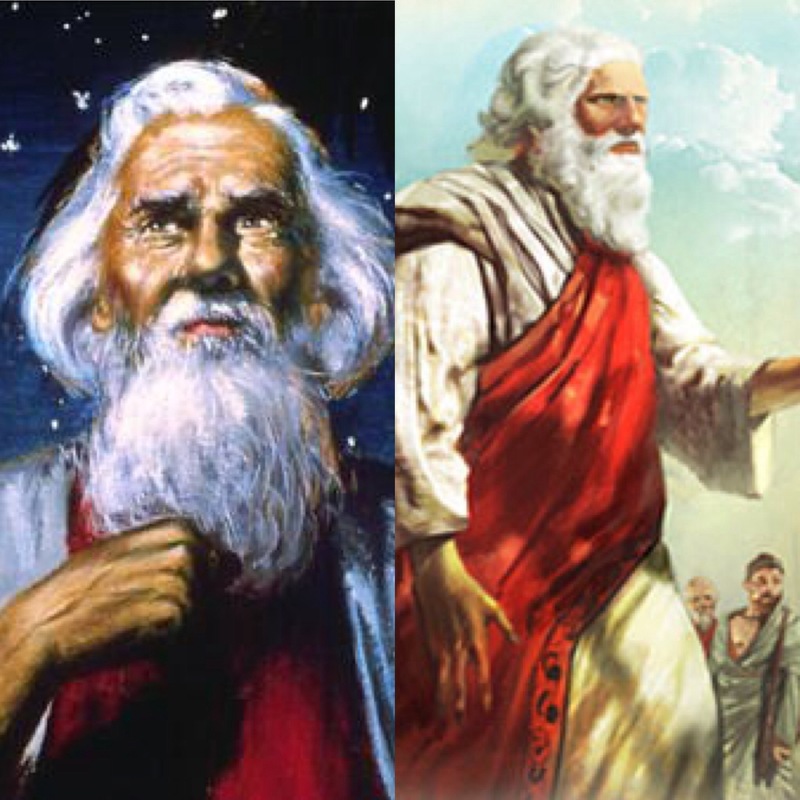 That takes some crazy amount of faith, but Abraham obeyed because he knew the voice of God. Brethren we must come to a point whereby we know the voice of God. In these last days discernment is key, be sure of the voice of God. When you hear His voice you will not always feel comfortable why, because His Word is sharper than a two edged sword. Why did the prophet ask to be stricken? Well it could be that the Lord wanted to use the prophet to symbolise that the sins of the people are like that of a self stricken wound. Perhaps The Lord wanted to demonstrate how their sins have provoked Him to anger. God works in mysterious ways, His ways are higher than ours and I refuse to try to figure God out. We must come to a place whereby we realise that God is God. I believe the second man that the prophet asked to strike him knew the voice of God, and just obeyed. The prophet did not ask him to kill him but to strike him. Brethren, let us pray for the spirit of discernment and also for his mercy. How can a lying spirit be sent from God to confuse the enemy? But it can, and it has happened. Brethren that scripture is deep you know, I don’t think we as of yet understand the wrath of God because of Grace. We can only thank God for grace, but we must not forget that there will be judgement. God knows, and sees our heart’s, He cannot be deceived. One can be so far gone in sin that they can be easily deceived, be very careful. Listen to God, without God we are nothing. Remember however that God is merciful, even when a sinner like Ahab was humble before The Lord, The Lord was moved by his humility to repent, and so God had mercy on Ahab. Isn’t it also humbling to know that though Elijah was a great prophet of God, there were also many other great prophets. Let us not forget the time whereby Elijah was very low in spirit, he was discouraged, and because of his discouragement he exaggerated that he was the only prophet alive😄. It’s funny, but often we do the same thing, especially when The Lord has called us to show forth His glory. I just wanted to encourage you this morning to discern, to repent, to know God, and to trust Him.